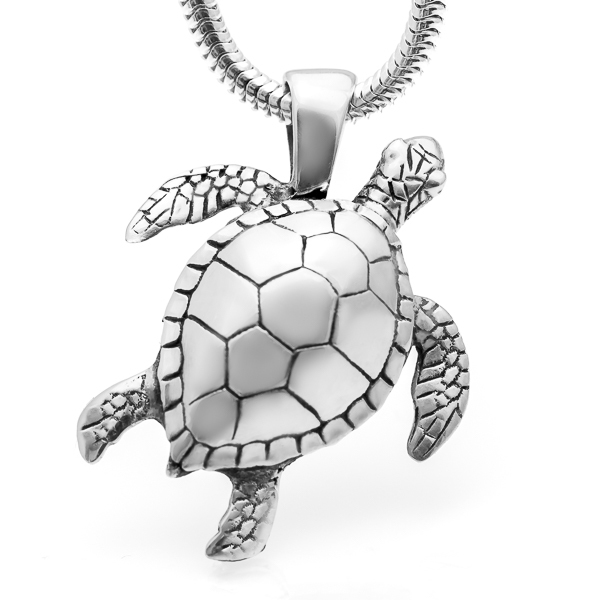 This unique sea turtle necklace beautifully captures the essence of the green sea turtle, a powerful yet graceful swimmer. With it’s large front flippers and a streamlined shell, sea turtles might be slow and clumsy on land, but these animals fly underwater. Honu is the Hawaiian name for the green sea turtle which is considered a symbol of good luck and longevity. One of the oldest creatures on earth, sea turtles are now an endangered species – wear this necklace as a pledge to help keep the oceans clean and free of plastic, a major threat to these majestic animals. Pendant is available in sterling silver or 9 carat yellow gold (white gold, rose gold and other metals also available on request). Silver pendant comes on a thin sterling silver snake chain necklace in our signature World Treasure gift pouch. 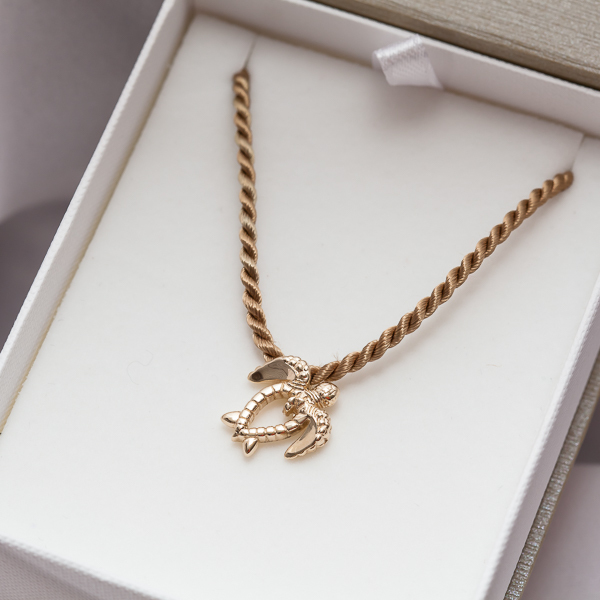 Gold pendant comes with a complimentary gold coloured silk cord as well as a World Treasure gift box and bag. Free shipping worldwide on all orders.